Kids Will Have To Cut Serious Calories To Halt Obesity Trend : The Salt Children and teens are going to have to cut calories or get a lot more exercise to stop the obesity trend, new research says. Menu for American kids: Fewer donuts, more jogging. Kids are getting fatter, and many will have to do some serious calorie cutting to avoid that fate as they grow up. That's the grim news from a new study that looks at how children have become heaver since 1971. It's not news that the number of obese children has doubled since the 1970s, with 1 in 6 now officially obese. What's new is that these researchers calculated just how much less a child would have to eat on average to stop the trend towards obesity. According to this new study published in the American Journal of Preventive Medicine, children and teens need to cut their calorie intake by 41 calories a day, to stop the weight gain trend. Otherwise, children and teens will weigh about four pounds more across the board. But they'd have to cut those calories just to stop getting heavier. The federal government really wants children to be slimmer than they are now. The feds originally wanted to lower obesity rates so that just 5 percent of children were obese in 2010, the same percentage as back in the 1970s. To reach the 5 percent goal, America's children would have had to have cut an average of 120 calories a day – 33 calories for preschoolers, 149 calories for grade-schoolers, and 177 calories a day for teens. For teens, that would mean jogging at least 30 minutes a day, or cutting out a 16-ounce soft drink. That may sound simple, but anyone who's dieted can tell you it's not so easy to maintain day after day. Some caveats: These numbers are based on population averages; individuals' experiences will be different. But the numbers show that the public health world has a lot of work to do to help children keep or reach a healthy weight. The study was conducted by researchers at the Mailman School of Public Health at Columbia University, the Harvard School of Public Health, and the Robert Wood Johnson Foundation, which helped fund the work. And another recent study suggests that perhaps children's behavior is already changing. There's some evidence that suggests that rise in obesity among both children and adults may have peaked. Newer data from the same federal health study that was collected in 2009 and 2010 found that the increase in obesity stalled around 2004. That may be because people are doing more to avoid gaining weight. Or it could be because all the people who are predisposed to become heavy, whether due to genes, behavior, or environment, have already done so. 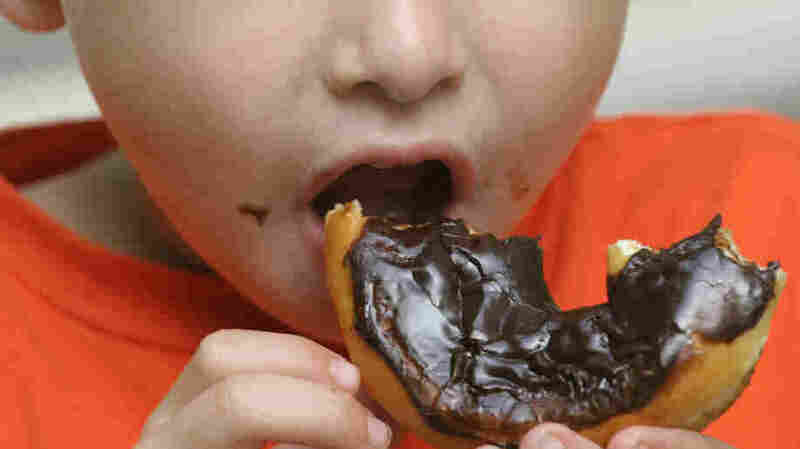 Even if the obesity epidemic has peaked, children are heavier than they have ever been in human history, a state that health officials say increases their risk of heart disease and diabetes in the future.